This morning Lucy had a full blown "my life is ruined forever" meltdown. I don't let her pick her cups. She gets what she gets. Often she throws a fit. So she decided that she was not going to drink any juice all day. She is incredibly determined when she wants to be. All day I have been thinking about that dumb cup. My juice striking dramatic three year old. absolutely anything for a cup of juice. A cup of juice that made my daughter cry. Not because of Lucy, but because of what the incident represents. My friend Kristen is in Haiti with her 10 month old daughter Karis visiting their son Keanan who they have been trying to bring home for years. Before the earthquake the quagmire that is the Haitian adoption system was a mess. I am praying Kristen and Karis home. I have been praying Keanan home forever. We are working on something over at Project 320. Seeking what God would have us do. Because without Him we all are helpless. can't wait to see what proj.320 has in store. Joy- I do not know you but I stumbled upon your blog a week or so ago. When I read your post, it absolutely shocked me because I have a friend who lives in Oregon who was married by Kristen's husband, Mark and had asked for prayer for them on Facebook. This is an amazingly small world. 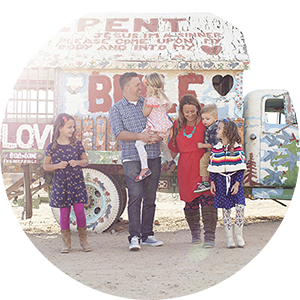 I was amazed that God really must want me to be praying for Kristen & Mark since he has brought them to my attention more than once from two different sources. We will definitely keep them in our prayers. Can't stop praying for them... and everyone who has been impacted by this. Such tragedy but also such an opportunity for God to show His power and be glorified. We are on our knees right now for sure. I grew up in Mexico City and I'm a survivor from the earthquake on 1985. I lose friends and family and I know what these people are going through. I'm on my knees as well. Praying for miracles!!! We just have to pray, pray, pray. I can't even imagine what all those poor people must be going through right now. I want to help, Julie. I need to help. Joining you in prayer..praying that even amidst this tragedy that God is glorified. I feel the same. I sat at the oil change shop today watching the horror be replayed over and over and I couldn't keep from crying. The mechanic shop is NOT the place I want to be caught crying, but it didn't matter because at that moment I felt as helpless as I could possibly feel. I can't wait to see what God brings to light so we can feel hopeful instead of helpless. I've been reading your blog for quite some time, but I've never commented until now. I was having similar thoughts today while MY 3 year old threw a fit. She was crying about not wanting to brush her teeth, but with Haiti on my mind...all I heard were the screams of little children thousands of miles away who are crying because they are hurt and scared. I too feel very very helpless. But I will be praying. I'm new to your blog. I just wanted to say - beautifully-written....and now I add Kristen, Karis and Keanan to my prayers. glad your friend is safe - praying that God will work more miracles on their behalf! Let me know how I can help on P320. It makes me so, so sad to think of all those children in Haiti... I can not begin to imagine how scared and helpless they are... I will pray for your friend that the adoption is somehow expedited...I will pray for their safety. I think this seems to be a common sentiment the past couple of days. All our daily "struggles" just seem like nonsense in light of the total gut-wrenching devastation in Haiti. I'm so glad for a God who is bigger than all of it! Believing that this childhood song is true: *My God is so great, so strong and so mighty, there's nothing my God cannot do. * God bless the Haitian people. Oh, what to even say. After reading Kristen's blog I am now just in tears. Scary. Frightening. I have read the headlines about the earthquake. Felt scared and sad. But, reading that blog posts made it seem real. Not just a headline. I can't wait to see what you are coming up with at Project 320. Such a scary scary thing. I know several who are waiting to bring their children home from Haiti. Could God use the shaking of the ground to loosen the strings of red tape that keep them there? I don't know, but I know He is might to save. I am praying and weeping with them. I am now praying for Kristen's family. Oh the trauma of a juice cup! but there is a light at the end. I have a daughter, too, that was a three year old just like that. The other day we were having water problems and she told me "mom, I was frustrated about our water being brown until I realized there are people all over the world who have water like that all the time, and people in Haiti who dont have any at all!" Your daughter will be fine being brought up in the Lord! 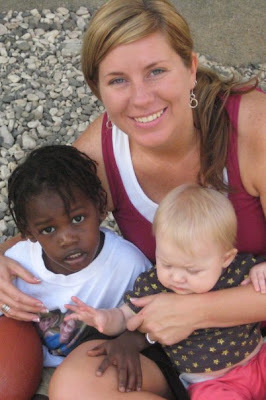 I saw a news story this morning about Hatian adoptions. God is good and faithful and he can turn a bad situation to good for those that love him! The world is now watching and I believe everything will be better.